It should be the same today! It really should! Today’s Scouts cheerfully pulling together towards the common goal to make and keep their camp comfortable and organized, everyone doing their part and helping one another—that’s sheer poetry! The fun the Scouts have is inherent in putting into action the timeless Scout skills they’ve acquired to create a site that is amazing. Their camp is their very own, personalized outdoor home away from home. They are remarkably proud of what they’ve accomplished as reflected by their useful and ingenious camp GADGETS, and exemplified by their shining ability to function as a well-run Scout patrol. My life has been blessed by scouting and the patrols I have been privileged to be a part of. To become one, in a group that comes together is and still is a great accomplishment and reward. 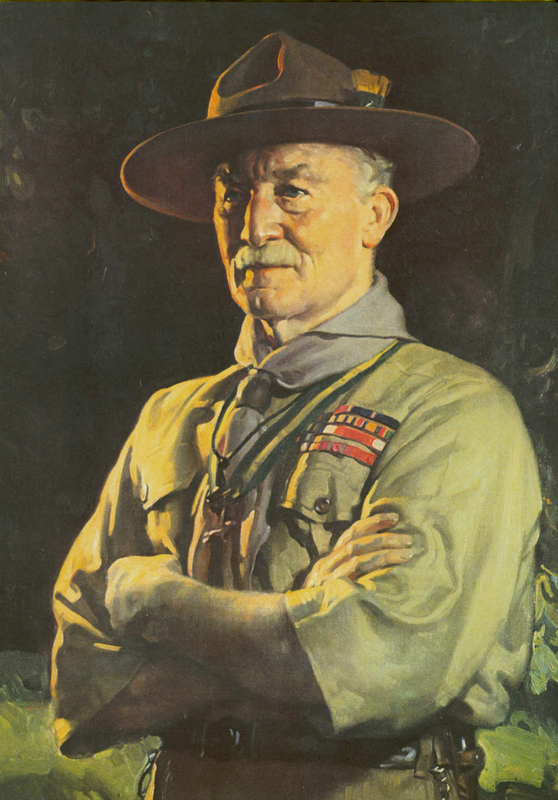 The power of one is the goal of scouting. To find it, search for it, help others find it, and live in it is the greatest experience of my life. Once you find it and learn to develop it your life will never be the same. The gift of the chance of finding it still lives in scouting and it lives in other places too. Powell knew about this and planned for this. This man was exceptional and the world was a better place for having him in it! Another spiritual side to Scouting!